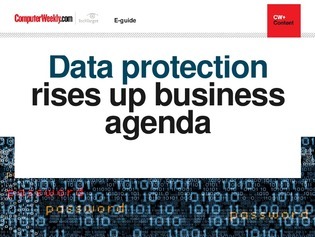 As data breaches continue to make headlines, data protection is rising up the business agenda to retain consumer trust. Discussions around data protection, however, continue to be dominated by Brexit and the EU’s General Data Protection Regulation (GDPR). Leaving the EU will have serious implications for data protection in the UK unless adequate steps are taken, and businesses are advised to have contingency plans in place. And while the GDPR is driving data protection maturity internationally, many companies are still playing catch-up and struggling to make data protection part of everyday business. Data protection is also rising up IT product development agendas as organisations are urged to ensure their data protection strategies take account of the expansion of IT from the datacentre to the cloud and secondary storage devices. Looking to the future, experts are urging organisations that need to retain sensitive information for long periods to start preparing for the post-quantum era when current encryption methods may no longer be viable.